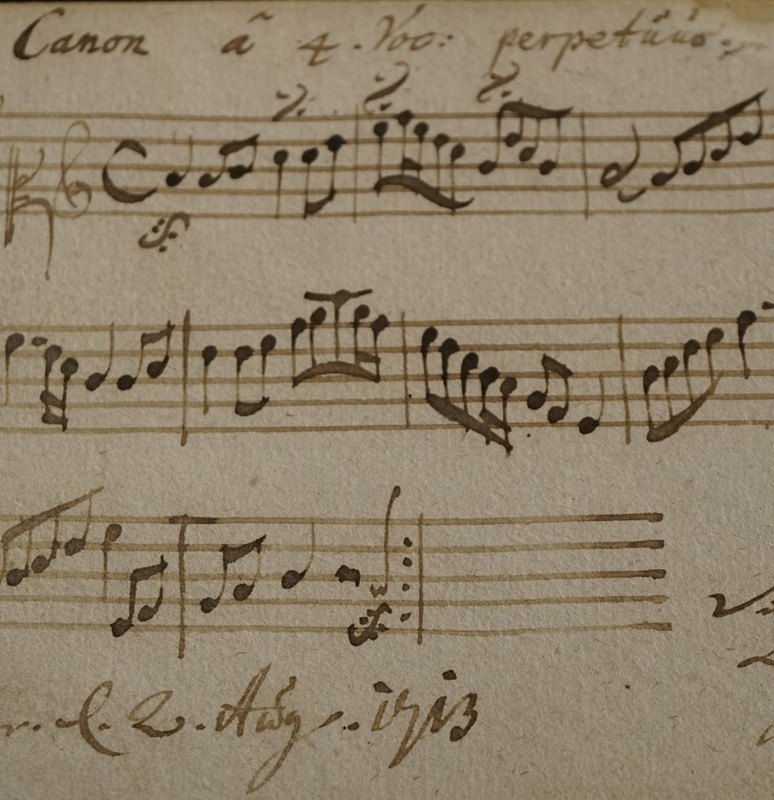 This sophisticated riddle canon for four voices (soprano, alto, tenor, and bass) was composed when Bach served from 1708 to 1717 as organist and chamber musician at the ducal court in Weimar. 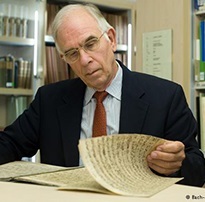 The single leaf on which the canon is notated was removed from a friendship album by an unknown trophy hunter sometime prior to February 25, 1864—the date of a German sales catalog of antiquarian books and manuscripts. It took almost 150 years until the actual album from which the leaf was cut out could recently be tracked down by Michael Maul, a former PhD student of mine. 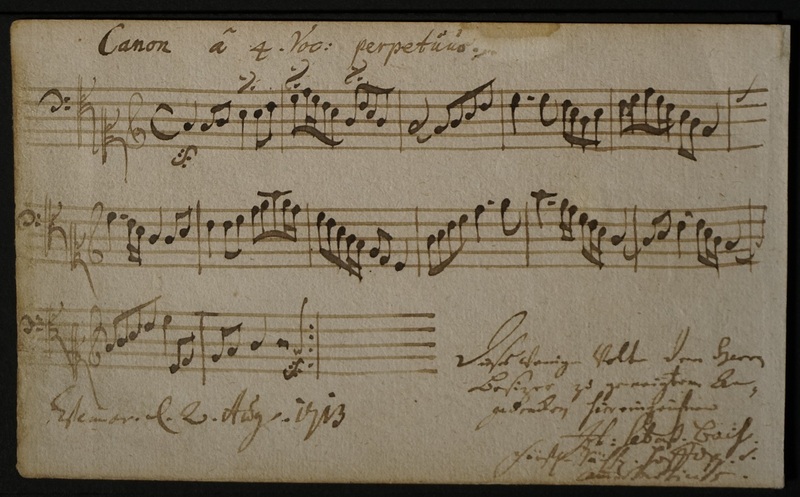 The album, now short of one leaf and now in the University Library of Jena, once belonged to Johann Christoph Gebhard (1654-1723), imperial notary, Weimar town scribe, and adjunct of the court capelle—the dedicatee of Bach’s composition.